Relax and unwind with massages, body treatments, and facials. This hotel also features complimentary wireless Internet access, gift shops/newsstands, and wedding services. Guests can catch a ride on the shuttle (surcharge), which operates within 20 kilometers. The hotel is located in Oradea, 2 km from the centre, near the company Plastor S.A. Guests can visit the historic ruins of Oradea 900 metres away and, by crossing the Crisul Repede River situated in nearby. Visitors can swim and sunbathe at the city's thermal bath. This non-smoking, hotel in Oradea offers soundproofed rooms with flat-screen TV, varied buffet breakfasts, and a 24-hour reception. On-site parking is free. The modern Hotel provides air-conditioned rooms and suites with classic-style furniture, minibar, and desk. All include a private bathroom with free toiletries. Guests of the venue can enjoy early-bird breakfast on request. Room service is available throughout the day. Oradea city centre is just a 5-minute drive away. Oradea Airport is 20 minutes away by car. Make yourself at home in one of the 66 air-conditioned rooms featuring minibars. Complimentary wireless Internet access is available to keep you connected. Private bathrooms with showers feature complimentary toiletries and hair dryers. Conveniences include desks, housekeeping is provided daily, and irons/ironing boards can be requested. Make yourself at home in one of the 168 air-conditioned rooms featuring minibars and LCD televisions. Complimentary wireless Internet access keeps you connected, and cable programming is available for your entertainment. Private bathrooms have deep soaking bathtubs and complimentary toiletries. Conveniences include phones, as well as safes and desks. Silver Conference and Spa Hotel is located in Oradea, in a quiet area. 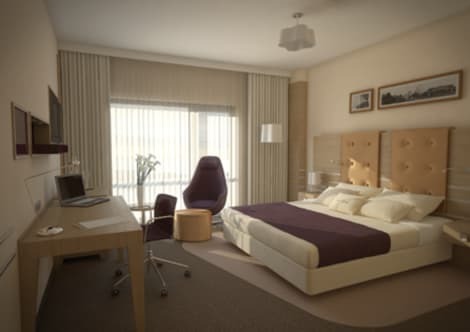 Surrounded by green fields, and only 1.5 km from the city center, this hotel is ideal for Romania leisure and business. 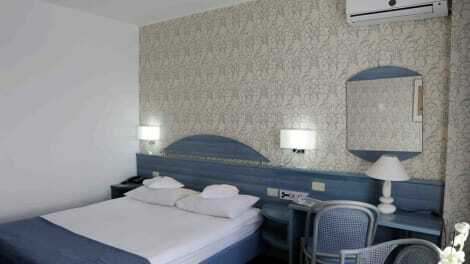 It offers comfortable, high quality services and excellent accommodation location. There are 31 spacious rooms including double, twin, single and family suites, all tastefully furnished and equipped with modern amenities. There is also a restaurant in the Silver Hotel, located on the ground floor and serves international and national cuisine. Silver Hotel Conference & Spa offers the following facilities: spa, rooms and business center, pool and more. The DoubleTree by Hilton Hotel Oradea is conveniently located in the green area of the city of Oradea in Romania; just walking distance away from all major business and leisure activities and the city center. situated on the river banks of Crisul Repede, our Doubletree by Hilton Hotel offers a perfect location for all the business and social gatherings for both locals and guests.Our DoubleTree by Hilton Hotel Oradea hotel features spacious guest rooms and suites as well as a wide range of guest amenities, generous work surfaces, Sweet Dreams® by Doubletree Sleep Experience beds and complimentary high-speed internet access as well as wireless HSIA available throughout the entire public area spaces.Our guests have full use of many amenities including:* An indoor pool and whirlpool* A well-equipped Fitness Center * First Continental Europe’s Eforea Spa with treatment rooms and relaxing lounge* Business CenterChill out in our Café Cris lounge bar and terrace overlooking the quiet river and dine at our Mediterranean style restaurant Laurus offering breakfast, lunch and dinner daily. Doubletree by Hilton Oradea has several meeting facilities for our guests and locals as well as a top banqueting and wedding facility in the city catering to all your business and leisure needs. We can guarantee successful business conferences, meetings, seminars and trainings as well as memorable receptions, galas and social events. In the heart of the city lies an ancient castle which reminds one of the great history surrounding this region. A few kilometers away from the city center is a famous resort with hot springs treatments which is amongst one of the major attractions of the area. Be it for business or leisure activities, DoubleTree by Hilton Oradea is the perfect location in the northwestern part of Romania and our highly qualified staff welcomes you warmly every time you honour us with your visit. This stylish luxury hotel is the perfect base for business and leisure travellers to Oradea. It is located close to the city's walking trail and architectural attractions. The stylish en-suite accommodation comprises single, twin and double rooms, and two apartments, all featuring a TV, air-conditioning and cable internet. The elegantly furnished apartments also feature a whirlpool bath. Guests can enjoy high quality Romanian and international cuisine in the comfortable and elegant restaurant and relax with a drink in the wine-cellar bar. Guests can swim in the indoor pool and work out in the fitness room, or can relax with a massage and Jacuzzi in the spa. Business travellers can benefit from the conference and meeting rooms with full AV equipment. There is also Wi-Fi in public areas and the indoor terrace and the bar are ideal for all sorts of meetings and events. lastminute.com has a fantastic range of hotels in Oradea, with everything from cheap hotels to luxurious five star accommodation available. We like to live up to our last minute name so remember you can book any one of our excellent Oradea hotels up until midnight and stay the same night.